When Is International Day of the Victims of Enforced Disappearances 2019? The United Nations (UN) observes the International Day of the Victims of Enforced Disappearances on August 30 each year. 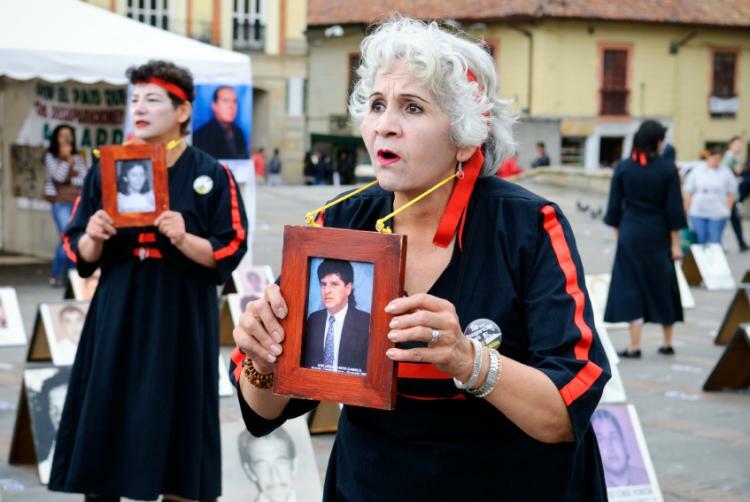 Mothers at Bolivar Square in Bogota, Colombia, holding photos of their children, who are victims of enforced disappearance. On August 30 each year, organizations such as the UN and Amnesty International play an active role in raising awareness that enforced disappearance is a crime and should not be used as a tool to deal with situations of conflict. Many activists openly share personal stories, via the media or public event, about victims of enforced disappearances and the impact that these disappearances have on their families and communities. The International Day of the Victims of Enforced Disappearances is a UN observance and not a public holiday. Enforced disappearance is used as a strategy to spread terror within the society. It occurs when people are arrested, detained or abducted against their will and when governments refuse to disclose the whereabouts of these people. Enforced disappearance is a global problem and is not restricted to a specific region of the world. In December 2010, the UN officially declared that it would annually observe the International Day of the Victims of Enforced Disappearances on August 30 each year, starting from 2011.